This week we had the pleasure of chatting with Teresa Lee, who graduated from The Pilates Center’s Advanced Teacher Training Program in 2003. 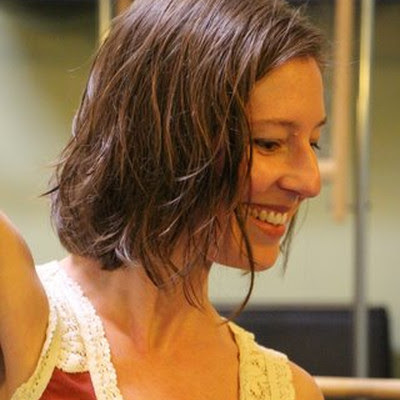 Teresa discovered Pilates over twenty years ago when studying dance at University of Oregon. She moved to Boulder CO in 2001 to dance with Boulder Ballet, discovered TPC and the rest is history. Teresa is a TPC Host Advisor and owns reForm Pilates and Movement Studio in Portland, Oregon. Hi Teresa, how are you today? Where are you and what are you up to right now? I’m at my daughter’s soccer practice enjoying these last few gorgeous Portland summer days. How did you first discover Pilates? I first discovered Pilates whilst dancing at the University of Oregon in 1997. My ballet teacher was always hounding me about my ribs sticking out and finally told me, “You need Pilates!” At that time I thought, “What the heck is Pilates?” A couple years later a graduate teacher in the program had gone through Romana’s training in New York and began offering a Pilates mat class in the dance department, so I signed up! I had (somewhat blindly) decided to move to Boulder after college and began dancing with the Boulder Ballet. 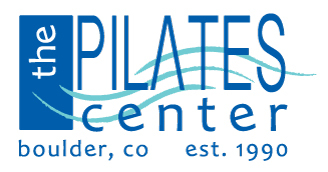 One of the other dancers in the company told me about this great Pilates studio, The Pilates Center, Boulder where they also trained Pilates teachers. I started taking classes at TPC and fell in love with Pilates immediately. I realized that the days I started with Pilates and then went on to dance, work, life, etc, I felt great! However, the days that started with company class, my hips would hurt most of the day. I knew I needed Pilates in my life and as a dancer and working part time jobs, I didn’t have much money, but, I thought, “if I’m going to be able to truly give this to myself I want to know everything!” So I began working towards enrolment in TPC’s Advanced Teacher Training Program. I didn’t really look around at other schools much because I was aware that TPC had a wonderful reputation. Plus, once I was there, I felt no need to look further. The training at TPC is so thorough and individualized. Everyone gets the attention they need in a way that is appropriate for them. The standards are very high, and this results in more informed and experienced graduates. I always felt that the case study was such a valuable aspect of the program. You gain so much by having your first client right within the program along with the TPC support system to help you along the way. It made jumping into teaching less intimidating. I also immensely valued the amount of private lessons you were required to take. I learned so much about how to work with a body and what the teacher / student chemistry could feel like. It really drove home the aspect of doing Pilates to create change in the body versus just doing Pilates as exercise. I think that’s something that is sadly lost in the larger Pilates community. I felt very prepared and confident in the world of Pilates teaching upon graduating from The Pilates Center, Boulder’s Teacher Training Program. I’ve been teaching for 15 years now and I very much think of TPC as my foundation. I can hear the voices of TPC teachers as I teach; I remember details of certain mat classes, privates and lecture series that pop up all of the time. Do it and spend as much time at TPC as possible. Soak in all the knowledge and passion TPC has to offer – it’s such a welcoming, warm place! What is your favourite Pilates exercise and / or apparatus and why? I’ve always loved the accessibility of Push Through on the Cadillac. It is a great place to show the relationship of the springs to the spine and how the use of the equipment can enter the body in a subtle but powerful way. Plus it just feels good! How do you enjoy your role as TPC Host Advisor? Being a Host Advisor has been a rewarding process because I enjoy seeing the progress that is made throughout the program and the love of learning that takes place within the trainee. It is because I have TPC training as my foundation (and that I continue to seek education through them) that I can confidently mentor trainees along their path to becoming a great instructor. Basically, it’s super fun to geek out on Pilates.